Stewart McSherry (founder of XFrog) asked me to do a short video about the Ecosystem materials that are offered by XFrog and how easy they make it to create a forest with a lot of variation and a very natural and real looking appearance. So I sat down and recored this video to explain the process a tiny bit. I wanted to keep it short and didn’t go into super crazy detail but it’s deep enough to convey how it all works. It also shows how easy the XFrog material make it to create a rather natural looking forest. 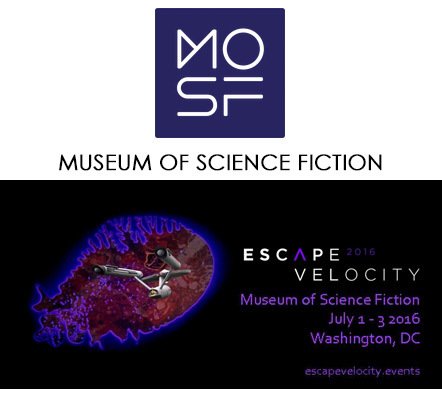 I’m very proud to have the opportunity to announce that my work will displayed at the Museum Of Science Fiction’s “Escape Velocity” event, July 1st to 3rd, in Washington DC. It will be displayed via LCD screen wall in extra large size. I personally will not have the chance to be there but I’m sure it looks pretty awesome in a size like this. =D However… they managed to have a neat event with many (more famous than me) guests there. 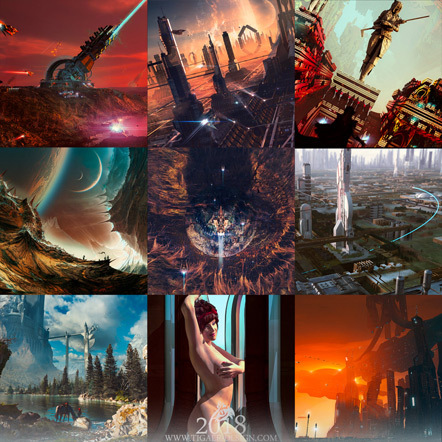 So if you’re in the area and you happen to be a scifi fan… it may be worth checking out! Here we go into a new year. Hope everyone had some good days with friends, family or both! This time it’s 2014. Me being born in 1982 the number 2014 sounds so Scifi that it’s hard to believe we live in that year now. Now let’s see if there are some more cool pictures coming along this year. 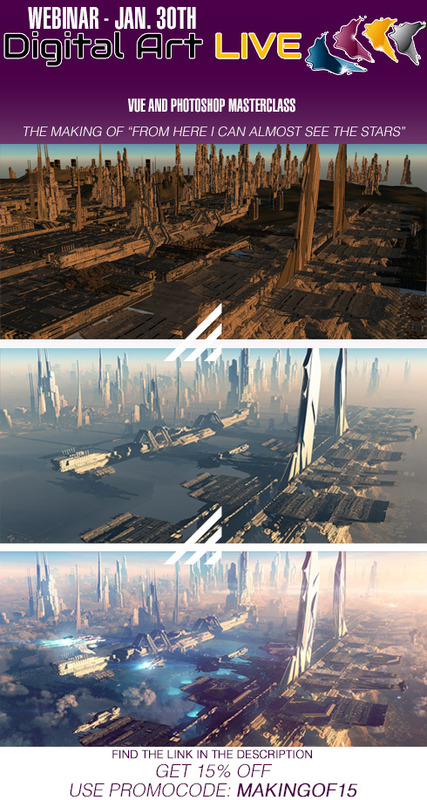 Of course there will be wallpapers which, I hope, will get a chance to grace your computer desktops! Until then… have a nice and successful year!